Everything was amazing. We looked at many homes before bedrock but instantly knew we wanted to buy a bedrock home when we walked thru the duplexes. 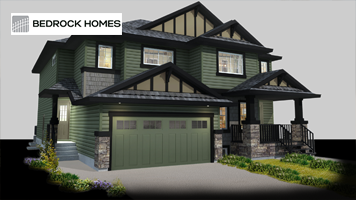 Our duplex in one at keswick is a beautiful build and we love the design! Plus the area is perfect. Craig made it very easy and hassle free with everything! We had a normal leak in the basement with warmer weather and everyone at bedrock was quick to respond and helpful. Thank you bedrock! Our next home will definitely be with bedrock. the key areas. the walk through pantry into the kitchen is amazing design. master bedroom is and on suit is huge, but not a waste of space and the bonus room is a perfect layout. no wasted space or restrictions on how to layout the room. the garage...having a angle cut to one corner of the garage forces me to park in the middle. rendering it to become a one vehicle garage. 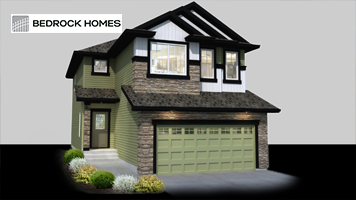 Bedrock Homes specializes in providing the best value for first time home buyers and move-up buyers with discerning tastes. 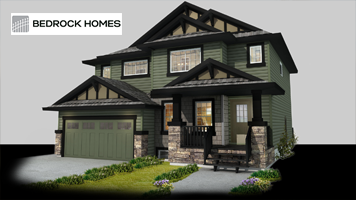 They offer a multitude of floor plans and options to suit your family’s needs. In addition, they offer attractive, quality interior finishing packages and a complimentary consultation with one of their professional Interior Design Consultants at their own Interior Design Studio to give you the freedom to customize your home and make it uniquely yours.